UK heads to Houston this weekend for the Houston College Classic at Minute Maid Park, home of the Houston Astros. On Friday the Cats face No. 21 Rice and preseason national player of the year favorite Anthony Rendon. UK head coach Gary Henderson tabbed sophomore left-handed pitcher Taylor Rogers to the mound versus the Owls. Rogers doesn’t have a decision on the season but has a 3.55 ERA in 12 and two-third innings on the season. Rendon, who Baseball America ranks as the No. 1 prospect in the 2011 draft, is batting .429 with two home runs, seven RBI and 12 runs scored in 10 games. Henderson and the Cats have the rare opportunity to play a weekend series at a MLB stadium in front of a national audience. National baseball writers as well a plethora of scouts will be on hand to see Rendon and UK top draft prospect Alex Meyer. Henderson decided not to send Meyer to the mound on Friday for the matchup with Rendon everyone hoped to see, but he will start versus Houston on Saturday. On Sunday sophomore right-handed pitcher Jordan Cooper will take the mound versus Utah. Western Kentucky University will head to South Carolina for the second consecutive weekend, this time for to face No. 18 College of Charleston, New York Tech and Auburn. WKU will look to rebound from a disappointing showing at the Baseball at the Beach Tournament in Myrtle Beach, S. C., during which the team went 1-2. Head coach Chris Finwood will send sophomore ace Tanner Perkins to the mound on Friday versus College of Charleston, freshman right-handed pitcher Justin Hageman to the mound on Saturday versus New York Tech and sophomore right-handed pitcher Taylor Haydel to the mound on Sunday versus Auburn. Morehead State University will head south to Knoxville, Tenn., to play in the UT Tournament versus Indiana, Bradley and Tennessee. On Friday the Eagles will send redshirt junior right-handed pitcher Josh Schneider to the mound versus Indiana and Lexington native Chad Martin. PLD alum Martin is 0-0 with a 2.16 ERA in three relief appearances on the season. On Saturday Morehead St. senior right-handed pitcher Trey Smith will face Bradley, and on Sunday freshman left-handed pitcher Noah Smallwood will face Tennessee. Eastern Kentucky University heads to Memphis, Tenn., this weekend for a three-game appearance in the Memphis Classic. The Colonels will face Southern Illinois on Friday, Memphis on Saturday and Oral Roberts on Sunday. Expect sophomore right-handed pitcher Anthony Bazzani to get the Friday start for EKU, though head coach Jason Stein has not yet announced his weekend rotation. Morehead St. will face a quartet of Kentucky high school alumni in the University of Tennessee Tournament in the form of Indiana catchers Wes Wilson and Ty Downing and right-handed pitcher Chad Martin and Tennessee shortstop Zach Osborne. Martin, a PLD alum, will start versus Morehead St. on Friday. Wilson, a Bryan Station alum, is batting .278 in six games, and Downing, a Greenwood alum, is batting .333 in five games. Osborne, a PRP alum, is batting .438 with three RBI and four runs scored on the season. 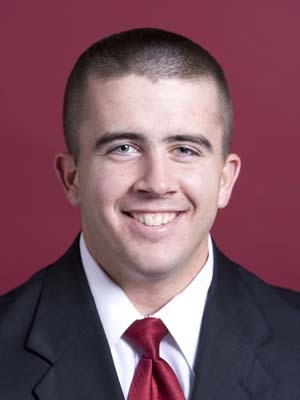 College of Charleston closer Casey Lucchese, a PLD alum, will look for his first save of the season versus WKU. Joiner is out for the season after undergoing Tommy John surgery. University of Louisville sophomore infielder Ryan Wright has been selected to the 22-man 2010 Team USA Collegiate National Team. University of Kentucky and Lexington Hustlers right-handed pitcher Joe Devine was named an all-star in the Great Lakes Summer Collegiate League. Lexington native Wes Wilson (Indiana), Morehead State University outfielder Cameron Flynn, Morehead St. and Hustlers infielder Travis Redmon, and Lexington native and Hustlers outfielder Justin Riddle were also named GLSC all-stars. 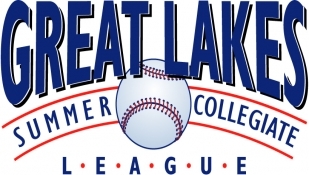 Georgetown College outfielder Tyler Fisher was named a New York Collegiate Baseball League all-star. UK catcher Michael Williams was named a all-star in the New England Collegiate baseball League.